WE APOLOGIZE FOR THE SOUND QUALITY ISSUES. BTR WAS HAVING SOME TECHNICAL DIFFICULTIES DURING THE BROADCAST OF THIS SHOW. 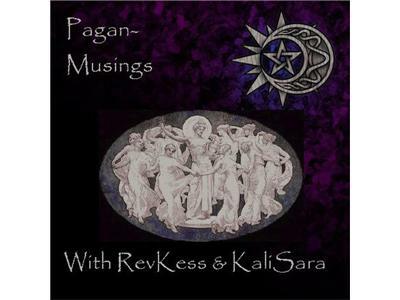 With the recent hooplah over the place of transgendered people in Circle and ritual, RevKess and KaliSara have decided to step into the ring and present their own personal opinions on the topic. BACK STORY: At this year's PantheaCon in California there was a women only ritual being conducted. Some transgendered women wanted to participate and were denied entry to the ritual. A RE-TAKE OF THIS TOPIC WILL BE SCHEDULED FOR A LATER DATE. KALISARA AND REVKESS BOTH AGREE THAT IT IS TOO IMPORTANT NOT TO COVER AGAIN WITHOUT THE TECHNICAL ISSUES.